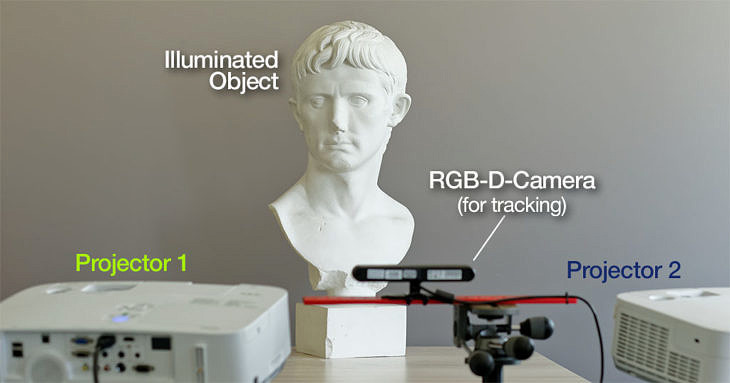 Projection based mixed-reality is an effective tool to create immersive visualizations on real-world objects. This is used in a wide range of applications like art-installations, education, stage shows and advertising. In this work, we enhance a multi-projector system for dynamic projection mapping, by handling various physical stray-light effects: interreflection, projector black-level and environment light in real-time for dynamic scenes. We show how all these effects can be efficiently simulated and accounted for at run time, resulting in significantly improved projection mapping results.